The Nintendo Switch is a bonafide hit, but the system won’t be able to continue its hot streak without a steady flow of new content. Nintendo knows this and are delving into their deep catalog of franchises to keep the momentum going – we already know Metroid Prime is returning, but another neglected Nintendo series may also be getting a revival soon. Not an official confirmation by any means, but considering how tight-lipped Nintendo typically is, any sort of hint is meaningful. Also, recall that Nintendo filed a new trademark for Wave Race back in 2016 — it definitely seems like something might be in the works. For those not familiar with the Wave Race games, they were a series of jetski racers with realistic, real-time wave physics. Wave Race 64 was a launch-window title for the N64, so it got a lot of play and is fondly remembered by a lot of old-school Nintendo fans. The Gamecube follow up, Wave Race: Blue Storm, was less popular, but a solid racer in its own right. 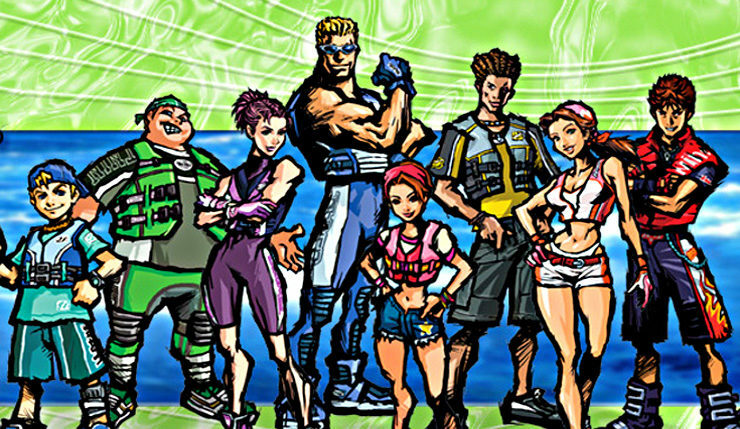 Wave Race was always about the water and wave physics first and foremost, and those have come a long way since Blue Storm was released in 2001. Could you imagine a Wave Race featuring the ultra-realistic waves seen in Rare’s Sea of Thieves? I’m already feeling a little seasick! I’d definitely say the time is right for a Wave Race return, but what do you think? Ready to hit the waves again? What other neglected Nintendo franchises would you like to see return?